(l-r) TVET Coordinator in Nevis Orette Smith, Federal Education Planner Quinton Morton, Education Planner within the Department of Education Nevis Dr. Neva Pemberton, Premier of Nevis and Minister of Education Hon. Vance Amory, Caribbean Development Bank Operation Officer (Education) Dr. Martin Baptise, Legal Counsel Alana Goodman Smith and Operation Officer (Civil Engineer) M. Stephen Lawrence. 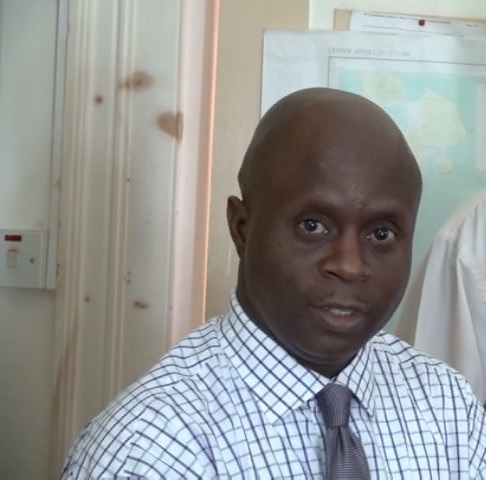 NIA CHARLESTOWN NEVIS (July 21, 2015) — Caribbean Development Bank (CDB) Operation Officer (Education) Dr. Martin Baptiste, reiterated the commitment of the Bank to the Technical Vocation Education Training (TVET) programme and praised the St. Kitts and Nevis Government for its continued efforts to improve the welfare of the Federation. The Programme will assist persons, outside the formal school system, to acquire skills, knowledge and attitudes required to become employed. His comments came after a TVET progress meeting with Premier of Nevis and Minister of Education Hon. Vance Amory on July 14, 2015. It was held at the Nevis Island Administration (NIA) conference room located at Bath Plain, Nevis. “We [Caribbean Development Bank] are very committed and we are glad that the government of St. Kitts and Nevis is committed to making sure that they continue to provide for the human resource development of the citizens of the country,” he said. Baptiste also stated, that there will be construction of additional classrooms at the Gingerland Secondary School and the Multi-Purpose Centre of the Charlestown Secondary School will be enhanced and upgraded to support TVET classes during and after school hours. Mr. Amory stated that the objective of the TVET programme is to provide the opportunity for students and adults to upgrade and learn new skills to prepare themselves for the world of work and to take advantage of the opportunities for employment that would arise. He also shared that the NIA had made significant progress in preparation for hosting the TVET programme in 2016. Permanent Secretary in the Premier’s Ministry Wakely Daniel, expressed gratitude to the CDB for assisting with the Programme, which he noted would equip citizens with qualifications that would enable them to succeed on the island and throughout the world. 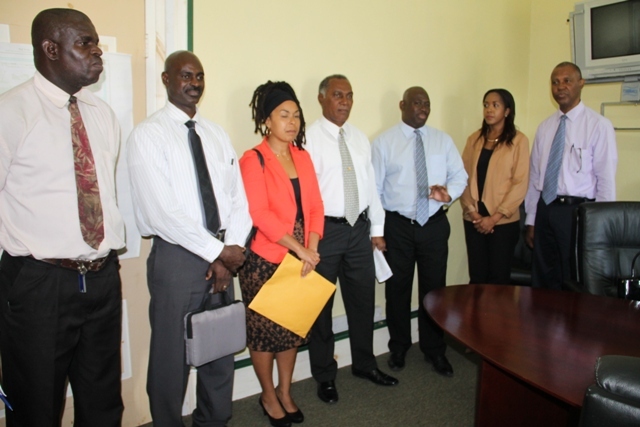 Also present at the meeting was CDB Legal Counsel Alana Goodman Smith and Operation Officer (Civil Engineer) M. Stephen Lawrence, TVET Coordinator in Nevis Orette Smith, Education Planner within the Department of Education Dr. Neva Pemberton and Federal Education Planner Quinton Morton.